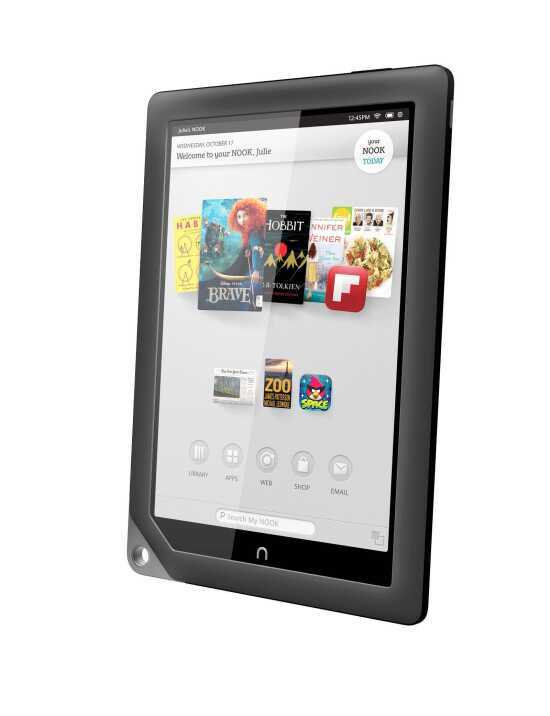 NEW YORK -- Barnes & Noble is rolling out two new versions of its Nook tablet with sleek new hardware and a sharper high-definition screen. The bookseller's move heightens the already intense tablet wars heading into the holiday season. Tablets are -- once again -- expected to be hot items this holiday. The new Nooks come on the heels of Amazon.com's announcement earlier this month that it will offer four new varieties of its Kindle, including a high definition version of its Kindle Fire tablet with an 8.9-inch diagonal screen, which starts at $299. That compares with Apple Inc.'s iPad with a 9.7-inch diagonal screen and $499 starting price. "If the decision the consumer is making is whether to buy based on hardware, these new Nooks will beat out Amazon," said Forrester analyst James McQuivey. "But that's not the decision every consumer is going to make -- hardware is only as good as the services the hardware enables."